At What Age Can Toddlers Have Corn? Corn is low in cholesterol and saturated fat. If you've been worried about serving your toddler corn, you can rest easy. Most toddlers can eat corn without a problem, and homemade corn dishes can be a sweet and nutritious addition to your toddler's diet. Corn can be a handy tool to ease your toddler into eating more vegetables at the table. Chances are, unless you've been actively reading labels and avoiding it, your child has probably been introduced to corn in one form or another already. 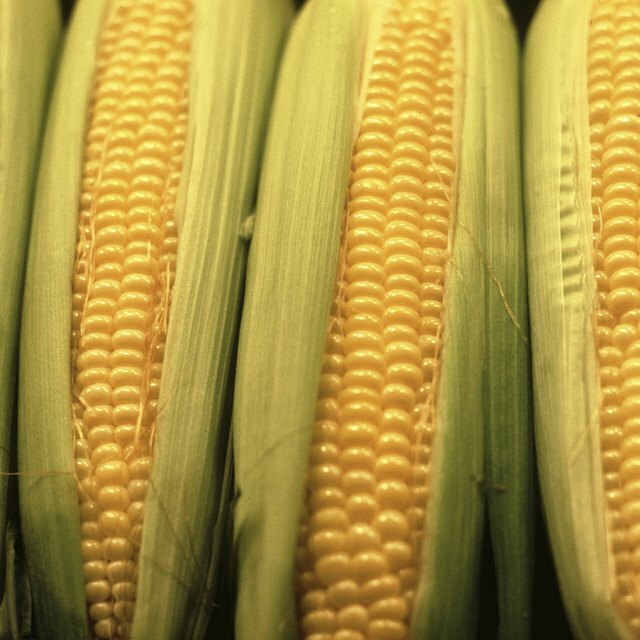 Corn products, such as cornmeal, corn oil, cornstarch and corn syrup, are found in many foods. Your child has most likely eaten some forms of corn in breakfast cereals, chicken nugget breading, pizza crust or a jar of baby food. Formula -- both milk and soy -- often contains some form of corn product. Even soaps and toothpastes usually have corn ingredients. According to the American Academy for Pediatrics (AAP), corn is safe for babies as young as 6 months old. For younger children, puree the corn to make it easier to eat. Once your child grows into a toddler stage, start with creamed corn to reduce the risk of choking on the small kernels. When your toddler becomes able to grasp small items in his fingers, give him whole-kernel corn and let him pick it up to eat it, making it fun as well as tasty. Watch closely to make sure he chews the corn thoroughly. If your toddler doesn't want to eat plain corn, make tasty cornbread muffins by adding some whole-kernel corn, creamed corn, sour cream and butter to your cornbread mix. Your toddler will enjoy the sweet taste and unexpected texture the corn adds to the muffins. Add some sugar, milk and cornstarch to creamed corn and bake it in the oven for a yummy corn casserole. Incorporate other chopped vegetables as desired, such as onion or red bell pepper. Work corn into a breakfast casserole by mixing sauteed onion, ham, corn, sour cream, cheese and ranch seasoning mix with eggs, then bake until lightly browned. Corn is not considered a top allergenic food like peanuts or shellfish, but there are people with corn allergies, and it's always possible your child is one of them. According to the Allergic Child website, some traditional symptoms that might indicate a corn allergy include rashes, headaches, swelling of the tongue and face, asthma and, at worse, anaphylaxis. If your child has had unexplained allergic reactions and illnesses to various foods, a corn allergy could possibly be the common thread. If your child has ever had an allergic reaction to a food with corn products, cease giving your child corn products until you can discuss the issue further with your child's pediatrician, or have your child tested by an allergy specialist. 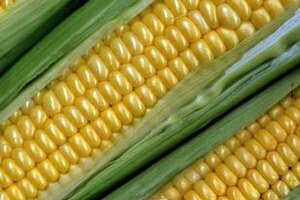 Ontario Corn: A Zillion Uses for Corn! Baby Center: When Can My Baby Eat Corn?